If you are a band or orchestra student going on the trip to Seattle please look at your email for the itinerary and important forms that must be filled out before the bus leaves on Thursday. It will be an awesome trip to the great Pacific Northwest! On Monday night the Orchestra students performed their various Chamber Concert solo and ensembles. On Tuesday night Symphonic Band performed music from their Festival Concert. Yesterday the Winterguard competed at Cole Valley and won best costume, makeup and best guard! Final performance is next week at noon @ Capitol HS. See you there. 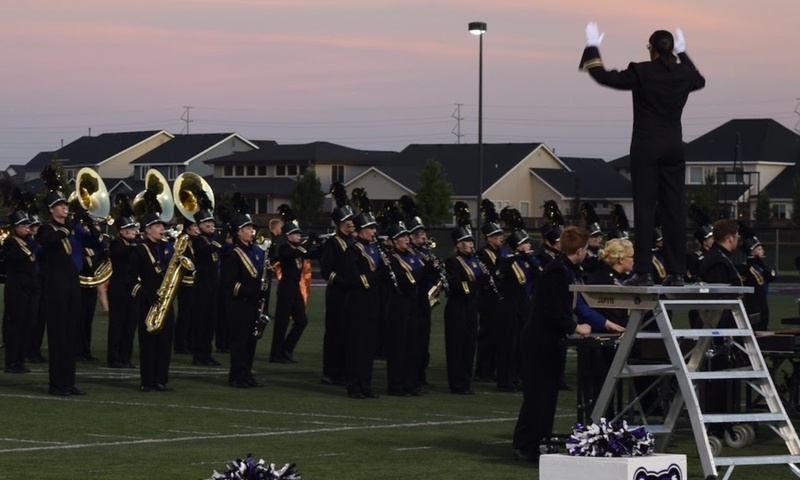 Congratulations to the following RMHS band students who qualified for D3 State Solos: Emily Ramm (Flute), Connor Allen (Euphonium), Cole Patterson (Euphonium), Ethan Vachon (Snare), and Josh Ellis (Snare). Pep band supporting the boys basketball team for yet another win! CHANGE OF DATE: Save the date for the RMHS Music Program Parent Meeting. It will be held on Tuesday 1/30/18 from 7-8pm in the band room. Topics: remaining school year schedule, upcoming fundraising, and volunteer opportunities. We hope to see you then. Band and Orchestra ensembles will perform a selection of holiday music Tuesday 12/19 at 7pm in the RMHS Auditorium. Please come support your students and invite other family and friends. We welcome you to bring cash or check donations to help support the music program for the remainder of the school year, as well.